Welcome to the golden age of cruising. In case you haven’t noticed, cruise line stock prices are zooming up as fast as a seagull escaping with a tasty treat. The age of the average cruise passenger is falling. A record number of cruise ships are on order. Carnival alone, under its various brands, is planning to add 20 new ships over the next five years. New markets (particularly China) are opening up, introducing even more people to the joys of sea travel. So what’s missing from this new golden age? Some would say that most of the new ships are too big and ugly. Perhaps. But I’ll bet you there were people in the early 20th century who were complaining about the size and appearance of then-new liners like Mauretania and Olympic. (So big! So impersonal! Too many lifeboats!) Anyway, there are many boutique cruise lines offering smaller, even yacht-like vessels. Big or small—it’s your choice. Another complaint is that the new ships are too gimmick-laden. Yet I’m constantly amazed by the innovations today’s maritime designers are thinking up: parks, theaters, ice skating rinks, go-kart tracks, etc. Even if these attractions aren’t your thing, they’re helping to make cruising more mainstream and less geriatric. Evening entertainment is better than ever, too. I remember an Italian Line cruise I was on in the early 1970s that featured the ship’s small band, a signer, a third-rate magician (Lookee! Lookee! 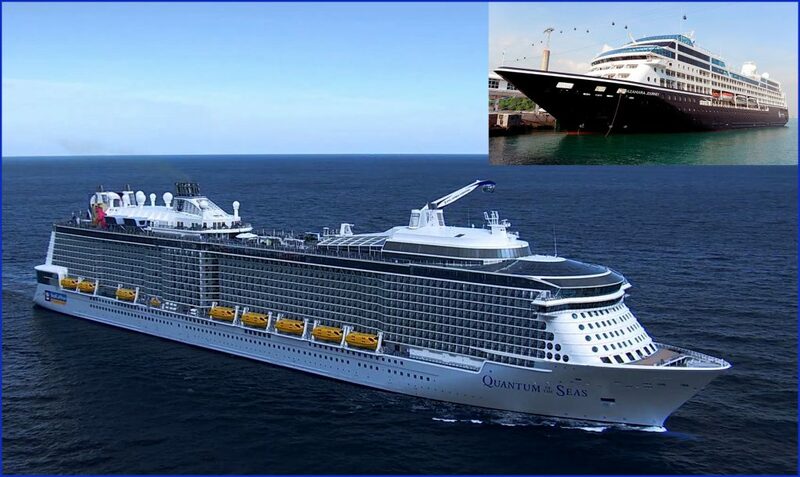 ), a pair of ballroom dancers and the cruise director as the entire entertainment contingent—for nine days! Fun aside, I also like the safety improvements that make sea travel so safe and secure. Sadly, these days, one is more likely to be victimized by a fellow passenger—or perhaps your spouse—than by accident or Mother Nature.